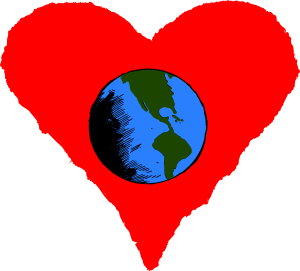 Earth Day is April 22nd, and it’s a great opportunity to teach your children the importance of caring for the Earth. At our Raleigh preschool, we believe it’s never too early to share ways we can all do our part to make the planet better, and to help you celebrate, we’re sharing some wonderful activities that are perfect for toddlers and preschoolers. After all, even little steps can make a big difference! The amount of plastic and non-biodegradable trash filling or rivers and oceans is harming our wildlife and ocean life, and plastic grocery bags are some of the biggest offenders. Commit to cutting back on your plastic bag use by switching to canvas reusable bags, and make it a fun event by decorating them with your kids! Reusable canvas bags are available at most craft stores where you can also get fabric paint, fabric markers, and other tools like animal, plant, and flower stamps and stencils! You and your children can get creative making tote bags that will make your next grocery store trip a little more festive! 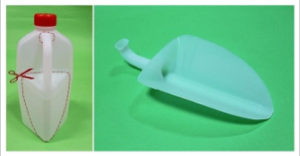 Instead of tossing plastic milk jugs into the trash, consider giving them a new role! There are tons of fun and easy ways to reuse your plastic milk jugs for indoor and outdoor use. Poke holes in the lid to make a watering jug. Cut out the handles of jugs to make scoops for dog food, gardening tools, and sandbox toys. We love the ideas on naver.com. Make a simple bird feeder (An Earth Day double whammy!). Get an easy step-by-step from Little House Living. Cut the top off the jug, poke holes in the bottom and use them as simple planters for growing seeds. Let your children decorate the jugs with paint, markers, rhinestones, or whatever they wish to make them personal and cheerful! Using your new garden tools from your plastic jug projects, you and your children can start a garden! 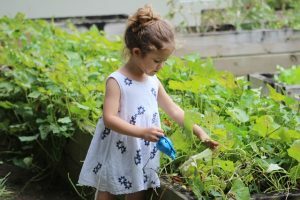 Whether you choose to take part in a community garden, grow from containers, or create a vegetable patch in your yard, giving your children the opportunity to see how their food grows allows them to see the importance of the earth. Plus, if they have a hand in growing their food, they’ll be more likely to eat their vegetables! Cleaning up litter and making your community cleaner, safer, and more beautiful is an amazing way to not only show that small steps DO make a difference, it also teaches your toddlers, preschoolers, and older children the importance of serving your community. Get together with people in your neighborhood to clean up the community park, or join a larger event around Raleigh. On Sunday, April 21st, REI co-op with NCSU Wellness and Recreation are holding the Lake Raleigh Earth Day Cleanup in order to clean up Lake Raleigh and the surrounding trails, and they are inviting the public to come lend a hand! At our Raleigh child care center, we love to connect books and stories to fun activities and events! Check out some of these wonderful books to read with your child to help them get a better idea of what Earth Day really means! The Earth Book by Todd Parr feature fun, vibrant illustrations and help even the littlest ones understand why caring for the planet is important. Plus, there are simple eco-friendly tips throughout. Curious George Plants a Tree by Margret & H.A. Rey teaches kids about Earth Day through the eyes of their favorite mischievous monkey! The Curious Garden by Peter Brown shows how even in a city without much beauty, gardens and nature can be restored. The Lorax by Dr. Seuss is an Earth Day classic that explains to children that it’s up to us to keep Earth beautiful. We are excited to share Earth Day with our kids, teaching them age-appropriate ways to celebrate our lovely planet! By making learning fun, exciting, and engaging, children are more likely to want to continue to explore and make discoveries. To learn more about our 5-star child care center and our curriculum, we encourage you to contact us and schedule a tour! 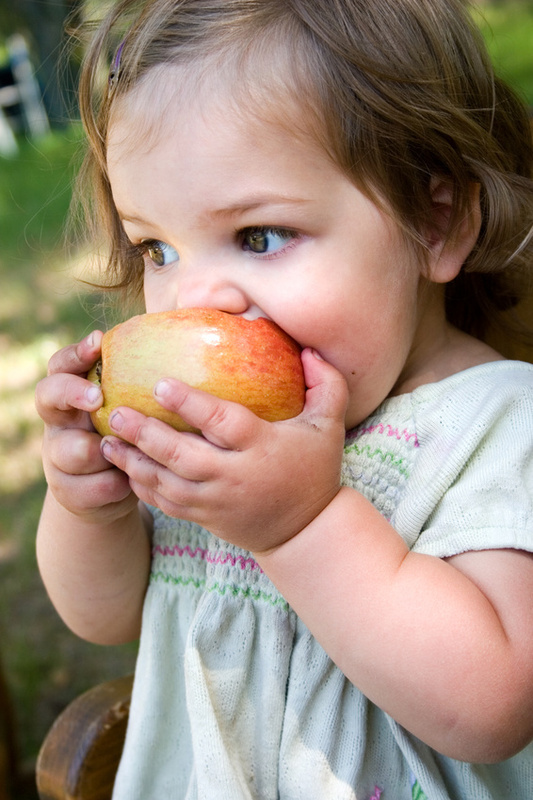 Preschoolers Celebrate National Fresh Fruits & Vegetables Month! Celebrating Earth Day with Preschoolers Celebrating Earth Day With Our Raleigh Preschoolers Celebrate Better Breakfast Month With Your Child!